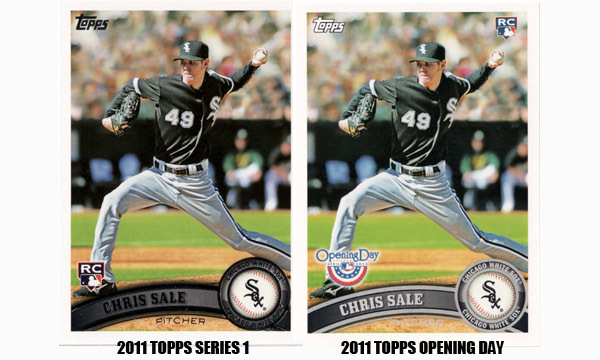 If there was a such thing as an "inverse parallel" set, Topps Opening Day would be just that. This is one product that I've never much cared for or understood. It's essentially base Topps, only the cards lack foil, have flimsy stock, lack value and it releases prior to its namesake. The product is geared towards kids, but I would recommend that both parents and kids steer clear of the Opening Day in favor of the slightly more expensive 2011 ToppsSeries 1 Baseball, which is far superior. This product either needs a massive retooling or needs to be put down in favor of a new, original $1 per pack product. There's something extremely disingenuous about Opening Day. What really hurts Opening Day is the fact that Series 1 has already released, meaning that we've seen this card design already. If it were an improvement upon Series 1's card design that would be a different story, but it's not. Opening Day is Series 1 without the foil, sturdy stock and other finishing touches. The only two things I liked about the set design belonged to the "Under the Lights" glow in the dark cards and the 3-D "Opening Day Stars" inserts, but that's only because I have a weakness for things that are 3-D and glow in the dark. There are some cool themes in Opening Day, such as the Superstar Celebrations inserts featuring big moments from the 2010 season, but they feel out of place and aren't executed well. Every insert set in Opening Day would be better served enriching the Series 1 checklist instead of trying to carry a lifeless product like Opening Day. Even with a $1 per pack product, there should be some hope of pulling something of value. Unfortunately, that's not the case with Opening Day. This product is routinely one of the least valuable card offerings of any kind in the industry. I can't think of a single reason not to spend the extra $1for a pack of 2011 Topps Series 1 Baseball (extra $30-$40 at the box level). Opening Day might be the only product in the entire hobby that feels like a chore to open. After a few packs, boredom thoroughly sets in and it strikes you that you've already opened a better version of this product a month ago (2011 Topps Series 1). It's not the fact that this is a $1 per product that makes Opening Day a bad product, it's the fact that it's completely unoriginal and has little reason for being. 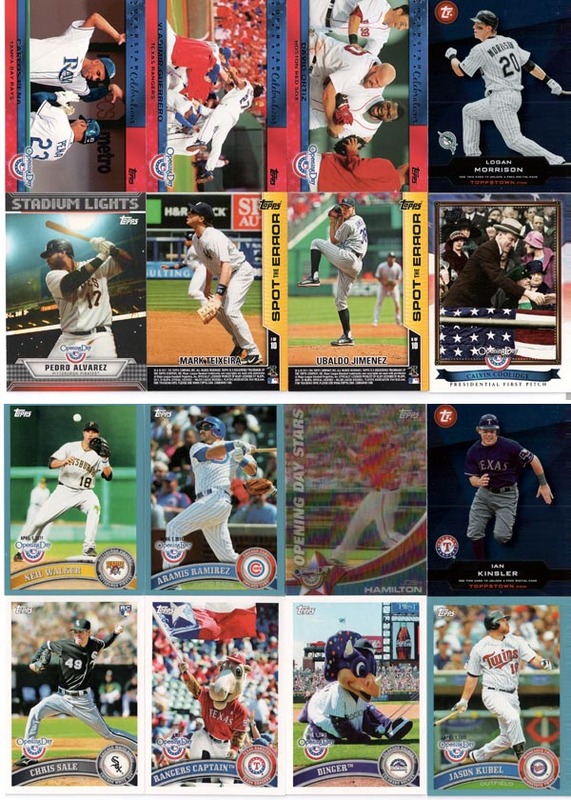 I would really like to see Topps introduce a $1 per pack product that isn't a poor man's base Topps. 2011 Topps Update Hobby Box Break #2 READ 2nd Box Break!! !